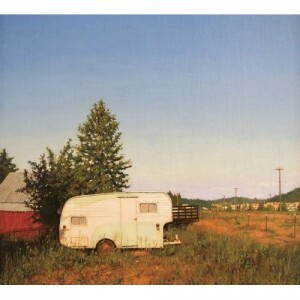 A lot happened to Relient K between Five Score and its follow-up LP, Forget and Not Slow Down. Along with some personnel changes, their contract with both Gotee Records and Columbia expired. But Gotee offered the band creative control of one of its defunct imprints, Mono Vs Stereo. This provided Thiessen and Relient K total freedom in the construction of their next album. The band also signed a deal with Jive to get the record out to a larger public. So Thiessen went to work, free to explore the depths of his creativity, isolating himself in a cabin in the woods following a rough breakup to write his next batch of the songs. He later said the experience allowed him to focus on producing thoughtful songs; he’d sometimes spend nine or ten hours following a single train of thought to its conclusion. Accordingly, Forget is a cerebral and ambitious album. The theme of Forget is moving on — which has caused some critics to oversimplify it as a “break-up album” — and Thiessen’s large emotional vocabulary meshes well with the complicated, mixed-up feelings of saying goodbye. The album strikes a variety of tones — melancholy, desperate, wistful — both musically and lyrically, often at the same time. The album takes on an unconventional structure, too. The track list shows 15 songs on the album, but it’s really more like nine or ten mini-suites, with a bunch of intros, outros, and thematically paired songs. Most of the band’s albums have had little deliberate flow, but Forget is an example of the whole surpassing the sum of the parts. I hate the term ‘concept album,’ but I think Forget‘s blending tunes and interwoven images earn it. Thiessen’s words are more imaginative and mature than ever, albeit more obscure. The songs here do a good job transmitting the overpowering difficulty of a split that anyone who has ever parted ways with a serious love will recognize. Among other distinguished moments on the album are the mini-epic “Savannah” and the gut-wrenching, two-part finale of “This is the End” and “(If You Want It).” None of the songs are bad, however, and it’s more difficult to choose highlights on this album than any previous RK album because of how connected each track is to the one before and after it. Even more than Five Score before it, Forget lacks the immediacy and pop hooks of Relient K’s early moments. But the brilliant and more subtle songwriting grows on you the more you listen to it. There’s enough happening here, sonically and emotionally, to warrant repeated visits. With each listen, I’m tempted to bump my rating up a half star, so I wouldn’t be surprised if I put this album in rarefied 4.5 or 5 star range at some point down the line.